Need a handful of Android games to take you into the weekend? We currently have a bundle of eight games in the DL Deals shop that have been discounted to just $3.99. The total value of the bundle is right at $18, so that’s not a bad deal for a set of games that all have pretty solid 4-star and above reviews. Titles that may sound familiar, like Doom & Destiny, Block Legend, Shiny The Firefly, and Bridge Constructor Playground are all included. 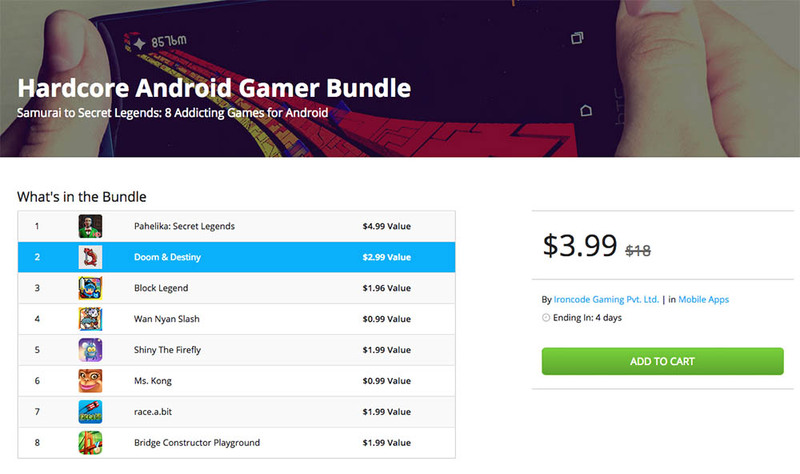 You have everything in this bundle, from old school RPGs, to side scrolling platformers, to classic bridge builders. To read up on each individual title that is included, hit up the link below.